1 Beautiful Savior! King of creation! 4 Beautiful Savior! Lord of the nations! Heidelberg Catechism, Lord’s Day 9, Question and Answer 26 professes similarly that God the Creator still upholds and rules everything by his eternal counsel and providence. Lord Jesus Christ, Son of God and Son of Man, your beauty shines from the whole creation. You are the light of the world and the light of our souls. You bring joy to the world and joy to our hearts. Yours is the glory and honor, now and forever. Amen. The heavens declare your glory, great God. for the birds in the sky, and the fish in the sea. and for making us rulers over the works of your hands. Help us to care for your creation. as we use resources carefully and gratefully. for knitting us together in our mother’s wombs. that you know when a hair falls from our heads. May our love for others reflect your love for us. support the sick, and comfort the lonely. In Jesus’ name, Amen. Use piano, guitar, or praise band for accompaniment with “The First Place,” and seamlessly add the organ on “Beautiful Savior.” Drop whatever instruments do not play well with the organ (electronic bass, drums, etc.). The original German text ("Schönster Herr Jesu") appeared anonymously in a manuscript dated 1662 in Munster, Germany. It was published in the Roman Catholic Munsterisch Gesangbuch (1677) and, with a number of alterations, in the Schlesische Volkslieder (1842), a hymn book compiled by Hoffman and Richter. ST. ELIZABETH appears to be an eighteenth-century tune from the Glaz area of Silesia. It has always been associated with this text. No factual data exists for the legend that this text and tune date back to the twelfth-century crusades, although those apocryphal stories explain one of the names by which this tune is known, namely, CRUSADER'S HYMN. After Franz Liszt used the tune for a crusaders' march in his oratorio The Legend of St. Elizabeth (1862), the tune also became known as ST. ELIZABETH. The tune consists primarily of a few melodic sequences and their variations. It could either be sung gently, perhaps with guitar and flute accompaniment, or it could be sung with great power with almost full organ for stanzas 1 and 4. 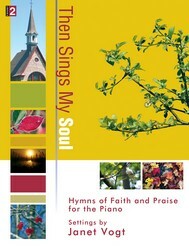 Try singing in harmony with no accompaniment at all for stanzas 2 and 3. Sing in four long lines rather than eight short phrases. The entire text as a hymn of praise at the beginning of worship or as a sermon response; stanzas 1 and 4 (both doxologies) at the end of worship. The original German text ("Schönster Herr Jesu") ap­peared anonymously in a manuscript dated 1662 in Munster, Germany. It was published in the Roman Catholic Munsterisch Gesangbuch (1677) and, with a number of alterations, in the Schlesische Volkslieder (1842), a hymn book compiled by Hoffman and Richter. The translation, primarily the work of Joseph A. Seiss (b. Graceham, MD, 1823; d. Philadelphia, PA, 1904), was based on the 1842 edition and first published in the Sunday School Book for the use of Evangelical Lutheran Congregations (1873). 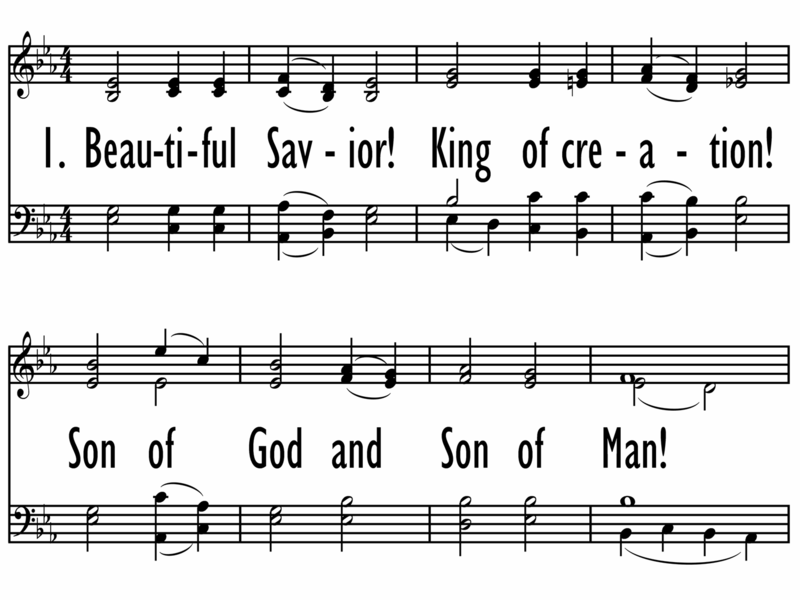 Another well-known translation based on the 1842 version is the anonymous "Fairest Lord Jesus," published in Richard S. Willis's Church Chorals and Choir Studies (1850). Seiss was born and raised in a Moravian home with the original family name of Seuss. After studying at Pennsylvania College in Gettysburg and completing his theological education with tutors and through private study, Seiss became a Lutheran pastor in 1842. He served several Lutheran congregations in Virginia and Maryland and then became pastor of St. John's Lutheran Church (1858-1874) and the Church of the Holy Communion (1874-1904), both in Philadelphia. Known as an eloquent and popular preacher, Seiss was also a prolific author and editor of some eighty volumes, which include The Last Times (1856), The Evangelical Psalmist (1859), Ecclesia Lutherana (1868), Lectures on the Gospels (1868-1872), and Lectures on the Epistles (1885). 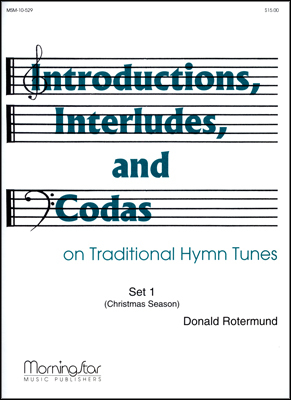 He contributed to and compiled several hymnals.